Msgt Kennith A Spears, USAF, (ret. ), age 73, of Niceville, FL left this world to be with his Heavenly Father Sunday. January 20, 2019. He was born on February 15, 1945 in Hawkins County, Tennessee, to Joe and Martha Spears. 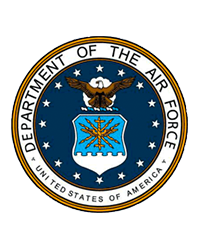 He joined the U.S. Air Force in 1963 and retired in 1992. He is survived by his wife of 36 years, Maria, son John, brother Dan, sister-in-law Mary, nephew Danny and niece Sophia, of North Carolina. A time of visitation will be held on Friday, January 25, 2019 from 10-11am at Heritage Gardens Funeral Home, with the Funeral Service beginning at 11am. Interment with Military Honors will follow in Heritage Gardens Cemetery.